Mod for PES 2013 game, created by Muller Bento. Mod for PES 2013 game, created by klashman69. Mod for PES 2013 game, created by darvinho. Mod for PES 2013 game, created by Aali. 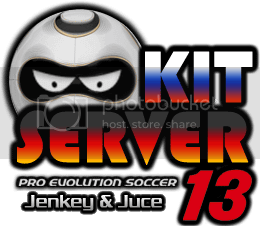 Mod for PES 2013 game, created by Daniel_K7. Mod for PES 2013 game, created by Reyhandanu. Mod for PES 2013 game, created by Alireza-cr7. Mod for PES 2013 game, created by Ardhy Child. Mod for PES 2013 game, created by radeqq81. Mod for PES 2013 game, created by Syamil75.